Tyler will develop the optimal training program for you, whatever your health and fitness goals may be. His training techniques are simple, fun, and effective. Most importantly, they are individualized to each client. In addition to training, Tyler offers nutritional guidance in order to maximize results. With your hard work and dedication, and Tyler's individualized workout plan and nutritional guidance, together you can achieve your health and fitness goals. Tyler Wichmann, the owner of Elevate Fitness, is a personal trainer in the Denver area. He was born and raised in Albert Lea, Minnesota. 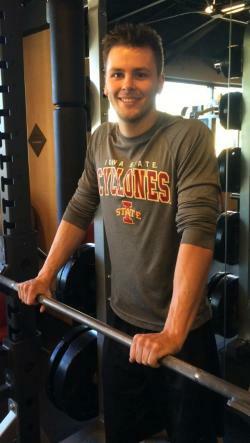 He attended Iowa State University, completing a Bachelor's Degree in Kinesiology and Health. His fitness lifestyle began at a young age, competing in several sports, including basketball and track at the varsity level. Tyler has been involved in coaching youth basketball and track for several years. While attending Iowa State, Tyler interned in the on-campus exercise clinic, leading older adults through group and individual exercise programs.